Great starter home in the heart of Maryland Heights. This home boasts gorgeous hardwood floors, updated kitchen with maple cabinets, stylish back splash, electric smooth top stove & built-in microwave & dishwasher. 3 bedrooms with ceiling fans, & 2 partially updated baths. White six panel doors. Finished lower level offers a family room, den & office. New air conditioner 2014. Updated vinyl tilt in windows, vinyl siding and incredible oversize attached 2 car garage. 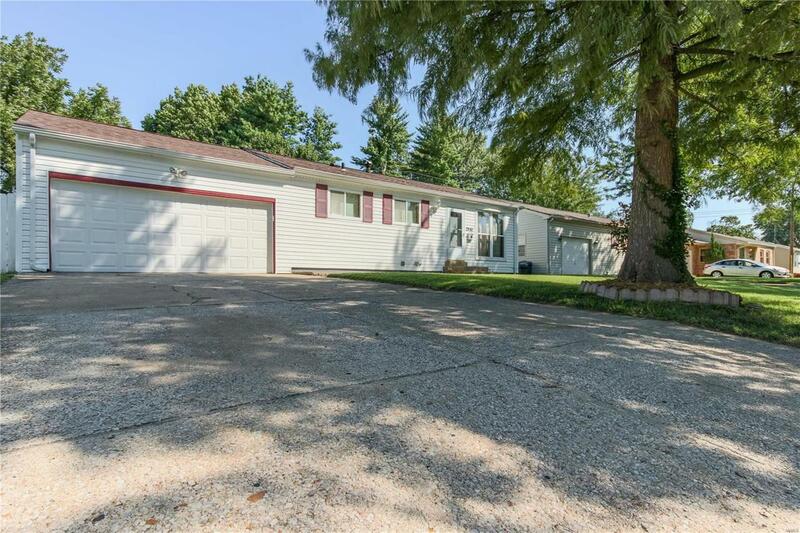 Nice patio overlooks the wonderful private backyard... Take advantage of all the amenities Maryland Heights has to offer the huge community center, water park and free trash service. Location, location, location!! !